We amend these Terms from time to time as set out in clause 8. Every time you wish to order Products, please check these Terms to ensure you understand the terms which will apply at that time. These Terms were most recently updated on 23/08/18 when we changed clause 1.1 and clause 1.2. We operate the website www.floralive.co.uk. 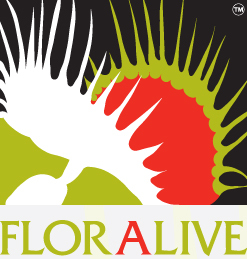 We are FLORALIVE, a business operating in England and Wales. Our postal & administration address is 6 Loxley Close, BIRMINGHAM, B31 1BQ. To cancel a Contract in accordance with your legal right to do so as set out in clause 9, you just need to let us know that you have decided to cancel. The easiest way to do this is to complete the Cancellation Form on our website store. A link to the Cancellation Form will be included in our Order Dispatch Confirmation to you. If you use this method we will e-mail you to confirm we have received your cancellation. You may also e-mail us at assistance@floralive.co.uk or contact our Customer Services team by post to FLORALIVE, 6 Loxley Close, BIRMINGHAM B31 1BQ. If you are e-mailing us or writing to us please include details of your order to help us to identify it. If you send us your cancellation notice by e-mail or by post, then your cancellation is effective from the date you send us the e-mail or post the letter to us. If you wish to contact us for any other reason, including because you have any complaints, you can contact us by e-mailing us at assistance@floralive.co.uk. Contacting us if you are a business. You may contact us by e-mailing us at b2b@floralive.co.uk. If you wish to give us formal notice of any matter in accordance with these Terms, please see clause 20.3. Although we have made every effort to be as accurate as possible, because many of our Products are natural, live articles, all colours, sizes, weights, capacities, dimensions, measurements & other descriptives/conformities indicated on our store are given in good faith but may vary due to the nature of such goods. All plastic products are represented by the article specifics provided by the respective manufacturer(s). Packaged growing media & associated additives are represented by either weight or volume, measured at the point of manufacture to be accurate to label/packaging/sales description statements, though contents may settle, compact or be affected by moisture content fluctuations in storage and/or transit before reaching the end user. From time to time we may offer certain Products on our store can only be purchased if you satisfy the legal age requirement for that product. We are not allowed by law to supply these Products to you if you do not satisfy these age requirements. If you are underage, please do not attempt to order these Products through our store. If we are unable to supply you with a Product, for example because that Product is not in stock or no longer available or because we cannot meet your requested delivery date or because of an error in the price on our store as referred to in clause 12.5, we will inform you of this by e-mail and we will not process your order. If you have already paid for the Products, we will refund you the full amount including any delivery costs charged as soon as possible. Products Available To Purchase To Which The Cancellation Rights Do Not Apply. You may also e-mail us at assistance@floralive.co.uk or contact our Customer Services team by post to FLORALIVE, 6 Loxley Close, BIRMINGHAM, B31 1BQ. If you are e-mailing us or writing to us please include details of your order to help us to identify it. If you send us your cancellation notice by e-mail or by post, then your cancellation is effective from the date you send us the e-mail or post the letter to us. For example, you will have given us notice in time as long as you get your letter into the last post on the last day of the cancellation period or e-mail us before midnight on that day. Then you must return it to us without undue delay and in any event not later than 14 days after the day on which you let us know that you wish to cancel the Contract. You can either send it back, our Returns page Insert Link To Returns Page for our returns address, printable returns labels and information about our authorised carrier and how to arrange a return. Please see our Returns page for our returns address, printable returns labels and information about our authorised carrier and how to arrange a return. Unless the Product is faulty or not as described (in this case, see clause 9.6), you will be responsible for the cost of returning the Products to us. If the Product is one which cannot be returned by post, we estimate that if you use the carrier which delivered the Product to you, these costs should not exceed the sums we charged you for delivery. If we have offered to collect the Product from you, we will charge you the direct cost to us of collection. Please contact us for a quote. We will contact you with an estimated delivery date, which will be within 5 Working Days after the date of the Dispatch Confirmation (the date on which we e-mail you to confirm our acceptance of your order). Occasionally our delivery to you may be affected by an Event Outside Our Control. See clause 18 for our responsibilities when this happens. If no one is available at your address to take delivery, we (or any 3rd-party delivery agent acting on our behalf) may leave you a note that the Products have been returned to our premises, in which case, please contact us to rearrange delivery. Unfortunately, we do not deliver to addresses outside the UK at this time. The prices of the Products will be as quoted on our store at the time you submit your order. We take all reasonable care to ensure that the prices of Products are correct at the time when the relevant information was entered onto the system. However please see clause 12.5 for what happens if we discover an error in the price of Product(s) you ordered. Our store contains a large number of Products. It is always possible that, despite our reasonable efforts OR best efforts, some of the Products on our store may be incorrectly priced. If we discover an error in the price of the Products you have ordered we will contact you in writing to inform you of this error and we will give you the option of continuing to purchase the Product at the correct price or cancelling your order. We will not process your order until we have your instructions. If we are unable to contact you using the contact details you provided during the order process, we will treat the order as cancelled and notify you in writing. Please note that if the pricing error is obvious and unmistakeable and could have reasonably been recognised by you as a mispricing, we do not have to provide the Products to you at the incorrect (lower) price. For Products which are not of living origin and do not have a manufacturer's guarantee, we provide a warranty that on delivery and for a period of 12 months from delivery, the Products shall be free from material defects. However, this warranty does not apply in the circumstances described in clause 15.3. Any item of living origin such as plants, seeds, etc. will be supplied in good faith in accordance with our published identities and descriptions/specifications, free from all known pests and diseases & in otherwise good health. We guarantee such items will be alive and in good health when received by you. We make no undertaking, however, that any item of this type will conform to such nomenclature & description, due to the nature of such live-stock & that said items can vary greatly dependent on genetic factors & many environmental factors beyond our control. We only supply the Products for internal use by your business or retail sale to consumers and you agree not to use the Product for any other resale purposes. Subject to clause 16.2, our total liability to you in respect of all losses arising under or in connection with the Contract, whether in contract, tort (including negligence), breach of statutory duty, or otherwise, shall in no circumstances exceed 65% of the price of the Products. An "Event Outside Our Control" means any act or event beyond our reasonable control, including without limitation strikes, lock-outs or other industrial action by third parties, civil commotion, riot, invasion, terrorist attack or threat of terrorist attack, war (whether declared or not) or threat or preparation for war, fire, explosion, storm, flood, earthquake, subsidence, epidemic or other natural disaster, or failure of public or private telecommunications networks or the networks or parts/elements thereof of 3rd-party delivery organisations/agents, or impossibility of the use of railways, shipping, aircraft, motor transport or other means of public or private transport. We may transfer our rights and obligations under a Contract to another organisation, but this will not affect your rights or our obligations under these Terms. in writing or by posting on our store if this happens. We will always notify you in writing or by posting on our store if this happens. You may only transfer your rights or your obligations under these Terms to another person if we agree in writing. However, if you are a consumer and you have purchased a Product as a gift, you may transfer the benefit of our warranty in clause 16 to the recipient of the gift without needing to ask our consent.